NEW YORK (CelebrityAccess) — Comedian Charlie Murphy, brother of standup and movie legend Eddie Murphy, has died. He was 57. Murphy's manager told TMZ that Murphy died on Wednesday morning in a New York Hospital. He had been undergoing chemotherapy as part of his battle with leukemia. Charlie Murphy was best known for his co-starring and writing role on Comedy Central's sketch comedy series "The Chappelle's Show" with Dave Chappelle. 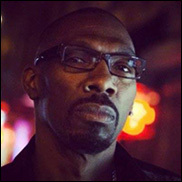 Murphy's stories about his purportedly real-life experiences with celebrities became the basis for one of the show's most popular serial sketches Charlie Murphy's True Hollywood Stories, with him playing the straight man to Chappelle’s send-ups of celebrities such as Rick James and Prince. Murphy also had an extensive career in film, with roles in dozens of films, including Spike Lee's Mo' Better Blues and Jungle Fever, as well as Harlem Nights, Night at the Museum, The Lotto Ticket and The Players Club. In addition to his work in front of the camera, Murphy also had some screenwriting credits, co-writing some of his brother's films such as Norbit, and Vampire in Brooklyn. Murphy also toured extensively as a live standup comic, performing with comedians such as Cedric the Entertainer, Eddie Griffin and D.L. Hughley.